Branford Land Trust members, my name is Robert Hardy. 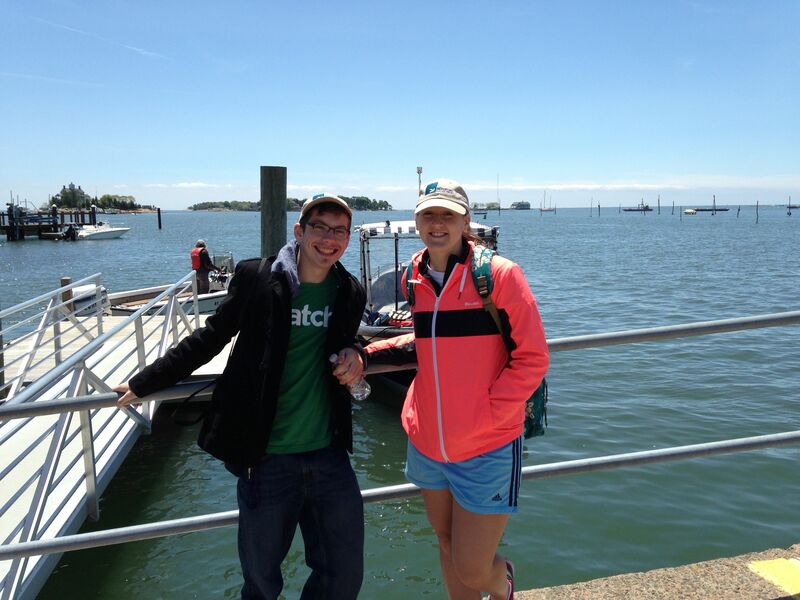 I am a senior at BHS (Branford High School) who has been interning at the Branford Land Trust. 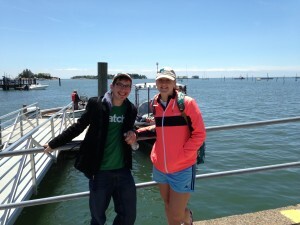 As an intern at the BLT, one has to wear various hats concerning what your exact job is that you are to be doing. While at the BLT, not only did I learn how to read surveyors maps, I also learned to identify trees, wildflowers, and various other creatures, invasive, and non-invasive alike. My ultimate goal as an intern was to aid the BLT in any way, shape or form of preserving open space, which is why my part in helping with the BLT’s GIS mapping system was so crucial to spreading the word to other Branfordians that the land surrounding us is gorgeous, and important for the environment. In the fall, I will be attending Belmont University in Nashville, Tennessee, and double majoring in Environmental Studies and Music Business. Music and wildlife have been my hobbies throughout my life, and I just couldn’t decide on a life without both. My time at the BLT proved to be extremely fruitful for pursuing a higher level of understanding of the ecology of Branford. To preserve this flowering ecosystem, the town needs various kinds of open space, not only in the woods, but in meadows and marshlands as well. Open space in marshlands is absolutely critical. Not only does the marshland help harbor a habitat bustling with biodiversity, marshland also acts as storm surge buffers, slowing the speed of waves as they pass through the numerous reeds that separate us from the surge. One of my most exciting days at the BLT was spent with BLT vice-president Jon Clark, doing Osprey occupancy surveys. In a single day, we checked the occupancy of the Osprey nesting platforms across all of Branford. I learned more about the Osprey while accompanying Jon all over town than in any time spent in school or summer camp, proving to me that the BLT has some of the smartest people in Branford, aiding the crusade to save the land they love. After the Osprey population in Connecticut fell to a startling 9 documented breeding pairs in the 1970’s, due to the usage of DDT and its effects on the shells of the baby Osprey, Connecticut conservationists and residents became extremely concerned with the preservation of the species. BLT has put an emphasis on putting up safe nesting platforms for the Osprey. Branford Land Trust has been putting up Osprey nesting platforms for some time now, and has seen some fantastic results! It is with great pleasure that I can say the BLT platforms boasted a near 100% occupancy rate. 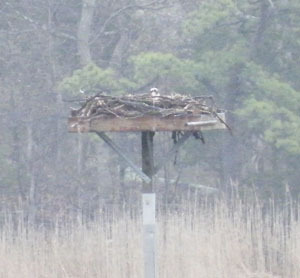 Both BLT nesting platforms and other structures have now become homes for nesting pairs of Osprey. A pair was even spotted nesting atop the cell phone tower across I-95 from Vaiuso Farms. The large Osprey population this year was most obvious along the Trolley Trail between Stony Creek and Pine Orchard. In addition to the mothers on three nests, six Ospreys were seen circling above the Trolley Trail, which means that not only are the same Ospreys successfully returning from South America, but even more young Osprey are coming back. One of the most remarkable things about the Osprey in my opinion is that somehow, the same Osprey return to the same nest after migrating thousands of miles. Even more amazing is that the parents leave their young to fly to South America on their own and after two or three years, the young fly back to mate in the same place where they were born. In short, the efforts of the BLT to preserve these birds are nothing short of remarkable. Nesting platforms need consistent repair and observation. Also, when building the nesting platforms, the DEEP must give permission, making sure that the nest is meeting proper DEEP regulation. Thanks to the BLT, as many as 100 baby Ospreys will call Branford home after the new eggs finally hatch.